True, Word on the Street is not exactly a dog festival, but at least dogs can attend and roam among the tables and tents of books, magazine and writer-related other stuff. 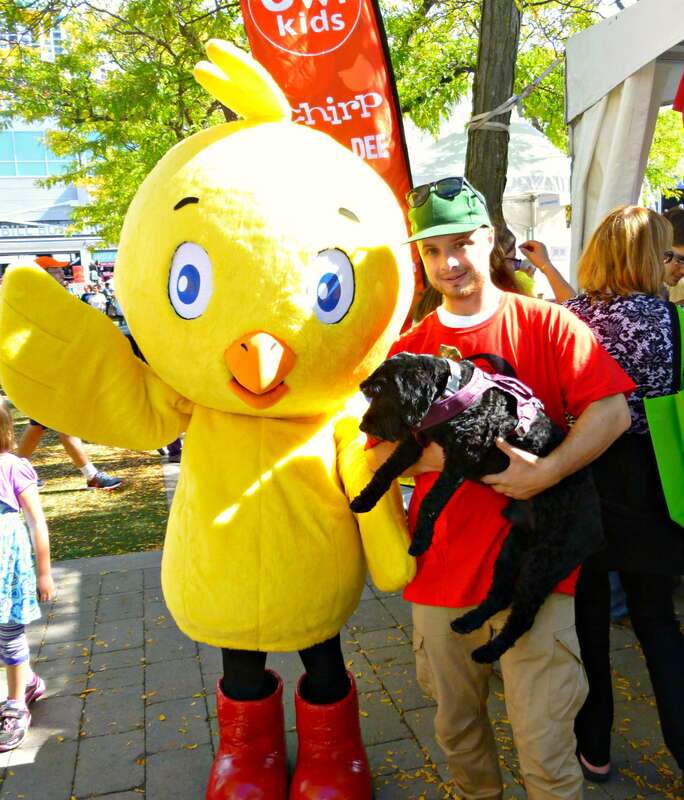 (The exception this year was the Amazon-sponsored Harbourfront Stage where Bob Rae was promoting his new book – one reason I went – and me and my four-footed buddy were not allowed in). 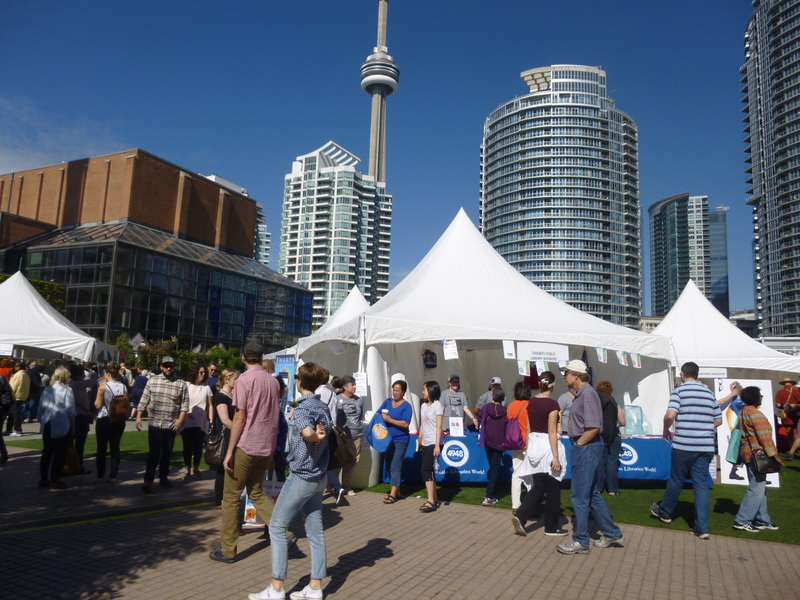 September 27, 2015, Toronto’s annual Word on the Street festival moved from actually being on the street, to being in a large courtyard along the city’s waterfront. While still a literary event, the change in venue lost a little street cred in my view by, well … losing the street, and became another city festival no longer defiantly diverting traffic in the name of writerly celebration. What resulted, however, were larger reading tents (and a stage venue NOT dog-friendly … no, I’m not letting it go), plus room for a full-out performance stage and sound system so TVO could showcase kid-friendly performances. Also added thanks to the water: for $25 you could take a one-hour ‘author boat cruise’ and tour part of Lake Ontario while a writer read from their new book. Did Victor get his literary groove on? Not really. 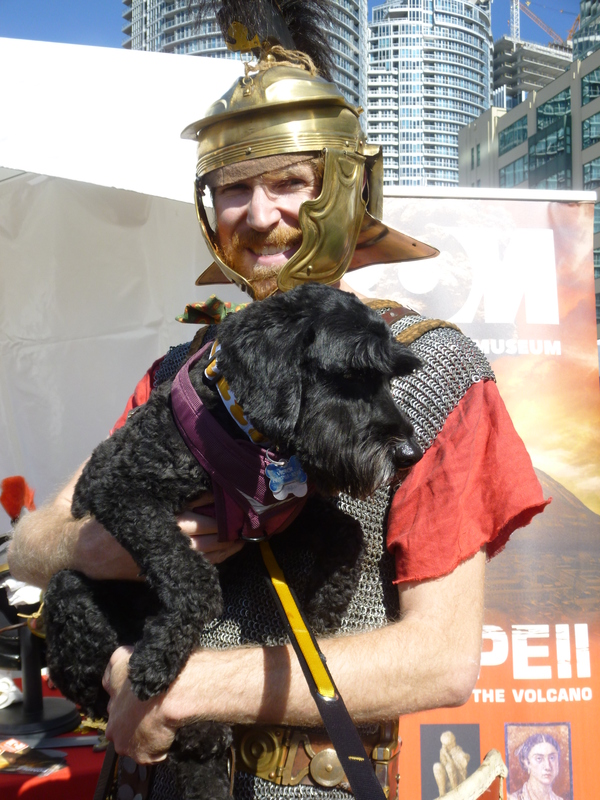 But a lot of book enthusiasts love a sharp-dressed schnoodle. One person even recognized him from Woofstock the previous day (stay tuned). Don’t underestimate the power of a jaunty bowtie, especially at a lit fest. STUFF: While at Word on the Street I purchased two books. Check them out here: What’s Happened to Politics by Bob Rae and Yes Please by Amy Poehlar. ← CONTEST! Win a Kurgo Muck Collar … never wash a dog collar again!